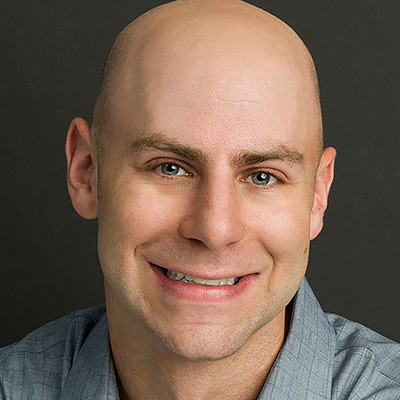 Adam Grant is a New York Times bestselling author and Wharton’s top-rated professor for five straight years. He has been recognized as one of the world’s 25 most influential management thinkers and one of Fast Company’s 100 most creative people in business. This year, Adam published Originals, a #1 bestseller on how to champion new ideas and fight groupthink that was praised by J.J. Abrams, Richard Branson, Malcolm Gladwell, and Sheryl Sandberg. His first book, Give and Take, was named one of 2013’s best by Amazon, the Financial Times, and the Wall Street Journal—as well as one of Oprah’s riveting reads and Harvard Business Review’s ideas that shaped management. His books have been translated into 35 languages. Adam received a standing ovation for his 2016 TED talk on the surprising habits of original thinkers and was voted the audience’s favorite speaker at The Nantucket Project on the success of givers and takers. Adam’s speaking and consulting clients include Facebook and Google, the NBA, Disney Pixar, Goldman Sachs, Johnson & Johnson, the U.S. Army and Navy, and the World Economic Forum, where he has been honored as a Young Global Leader. He writes for the New York Times on work and psychology, and serves on the Lean In board and the Department of Defense Innovation Advisory Board. Adam was profiled in the New York Times magazine cover story, "Is giving the secret to getting ahead?" He received his B.A. from Harvard and his Ph.D. from the University of Michigan. He is a former junior Olympic springboard diver and magician.